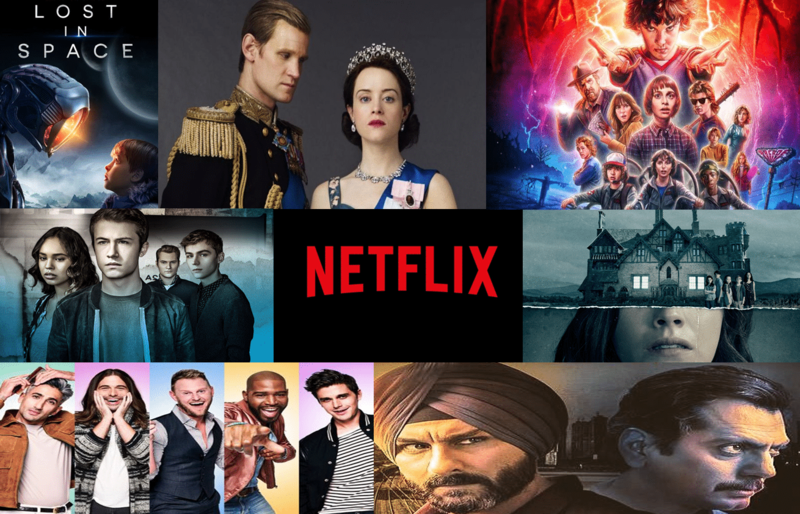 Netflix has become a new way of entertainment for the people and the craze of watching web series and highly fantastic shows is just getting extended each year. The streaming network has become an enormously huge and popular medium for providing great content based on multiple themes. It has also led to the rise of other big streaming services and networks, but still, nothing comes close to Netflix when it comes to inevitable and entertaining series. And thus, it becomes really inevitable to miss a platform like this, and the quality shows with rich content that deserves your eyes’ attention! So, here are the best Netflix shows which you just can’t miss out, anyhow, before the end of 2018. You should start watching them right now! Based on Shirley Jackson’s novel of the same name, the show tells the story of 5 siblings, in a family, who have a history related to the most haunted house in the country. After they grow old, they are again reconnected with that same house’s secrets and the mystery regarding their mother. They begin to see and feel the presence of dark spirits and ghosts around themselves. The show was just recently out on the network, in October, and it has received rave reactions and praises since then, becoming one of the best horror series or shows in recent years. The wait for its second season has already begun. The show, based on an award-winning play called ‘The Audience’, tells the story of Queen Elizabeth II during the 1940s and her struggles, while holding the power of the throne of the highest rank in the country. She takes over the throne in the age of 25 when her father, King George VI, dies. The show goes through many interesting and key twists and turns, while also conveying various messages and issues about the Queen’s life. ‘The Crown’ has already made Claire Foy a household name and highly popular star actress in recent times, after its two seasons; the third one is also on its way somewhere in the future. The show is about a police officer Sartaj Singh and a criminal overlord Ganesh Gaitonde. While Sartaj is on a hunt for Gaitonde he goes to Mumbai, persuading his whereabouts. But when he suddenly gets removed from the case of catching the gangster, then he starts his own investigation to find him; while also uncovering the past events of Gaitonde’s life. The cat-and-mouse game between the two takes a lot of suspenseful and mysterious turns, keeping you hooked till the very last scene of the very final episode. ‘Sacred Games’ was released in July 2018 in India and after its blockbuster run on Netflix, the announcement was made for its second season too. This is the story of four friends who accidentally end up meeting a girl with supernatural abilities. Apart from this, there is also the danger looming over the town, of a horrifying monster, about which the ignorant people have no knowledge and idea. Stranger Things has become one of the best and iconic horror shows in Netflix’s history and many people have in fact watched it for endless times. The show, which was first released in 2016, has till now spanned total two seasons and fans have been dying for the third one, with excitement levels going beyond limits. Hannah is a woman who is dead by the very beginning of the show’s story, but the real reason behind her death gets discovered and uncovered by a student named Clay. He finds out that she committed suicide, after finding a mysterious box in his porch. The box contains the recordings of Hannah and her true story in her own voice, in which she also tells the 13 reasons why she chose to kill herself. 13 Reasons Why became a popular series when it first streamed on the network in March 2017; but after its second season, it also became controversial due to some offensive content in few of its episodes. Still, there’s no denying that the show is a hit, especially among the youth. The show, which was rebooted and remade by Netflix, tells the story of the new Fab Five. It’s a group consisting of five men in which there is a food and wine expert, a fashion expert, a culture expert, a design expert, and also a grooming expert, for the communities in and around Atlanta. These five style experts forge relationships with men and women who often have different beliefs from them, leading to moments of social commentary interspersed with style advice. The series was initially released in February 2018 with its first season, and then in June itself, the second season was also out. And due to great response from the viewers, its third season was also announced in July. Lost in Space shows the journey of Robinsons, a family who crash-lands on a mysterious and unknown planet by accident due to a rip in the space-time continuum. Then on that planet, the Robinsons have to deal with the alien forces and staying safe, while also trying to go back safely. Despite getting mixed reviews the show is still a great visual extravaganza for those interested in sci-fi/space dramas. The show was made on a huge budget. It was released in April 2018 with its first season.